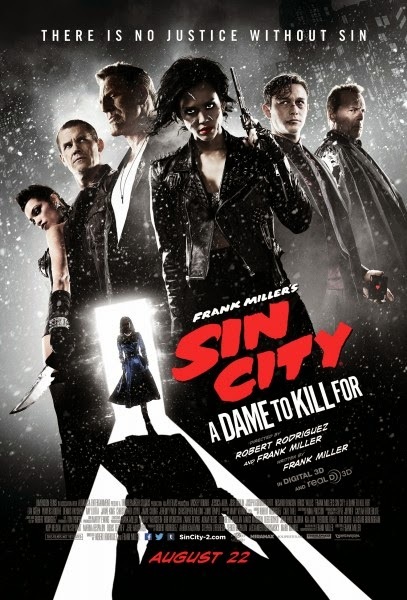 The Red Band trailer for Robert Rodriguez and Frank Miller's "Sin City: A Dame to Kill For" is now available (thanks to Machina) for us non-Comic-Con attendees to check out. This graphic-novel-come-to-life features some mega stars, mega violence and mega sexiness. It stars Josh Brolin as Dwight and Eva Green as love-interest-gone-horriby-bad, Ava Lord. It also stars Joseph Gordon-Levitt, Mickey Rourke, Jessica Alba, Bruce Willis, Powers Booth, Rosario Dawson, Jaime King, Lady Gaga (yep), Christopher Meloni, Jeremy Piven, Ray Liotta, and Stacy Keach. It hits theaters on August 22. Let us know what you think. It's fun to look at and well, there are some killer babes, but will the film keep our attention past this trailer?